Four other students have sought impleadment in the writ petition filed by law student Swapnil Tripathi before the Supreme Court, praying that the 2013 ban on the entry of interns on miscellaneous days be lifted. 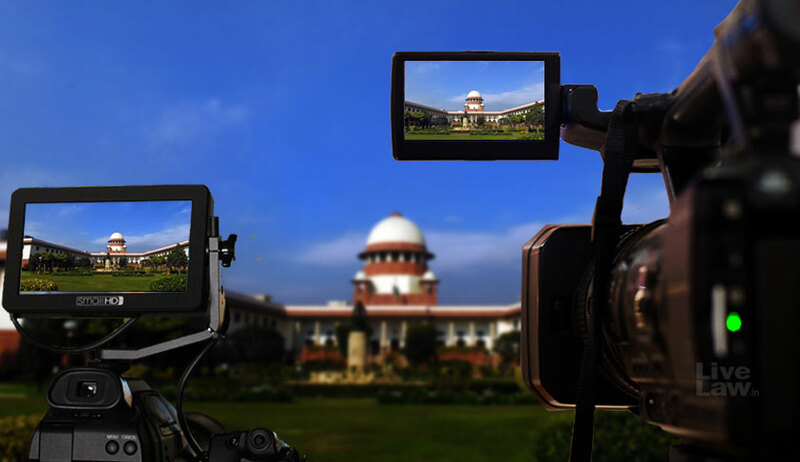 The bench of Chief Justice Dipak Misra, Justice A. M. Khanwilkar and Justice D. Y. Chandrachud is scheduled to hear the plea on Monday, the same having been tagged with Senior Counsel Indira Jaising’s petition for live streaming of the court proceedings. It has been averred that the notice dated August 21, 2013, restricting the entry of law interns in the courtrooms on miscellaneous days, states no reasons. The ban is understood to be imposed only for the purpose of crowd management. The application contends that “a complete ban towards the entry of law interns for the whole day on miscellaneous days violates their fundamental right enshrined under Article 14”. Therefore, the applicants pray that those who are pursuing an internship under an Advocate-on-Record or a Senior Advocate or an Advocate be placed at par with the interns pursuing internship under a Judge of the Court, as only those belonging to the former category are restrained on miscellaneous days, though all are law students. Asserting that the underlying purpose of Article 14 is to treat all persons similarly circumstanced alike, both in privileges conferred and liabilities imposed, reliance has been placed on the apex court judgments inVirendra Krishna Mishra v. Union of India and Jagannath Prasad v. State of Uttar Pradesh. Quoting Reliance Petrochemicals. Ltd. v. Proprietors of Indian Express Newspapers Bombay (P) Ltd., the applicants have argued that the Supreme Court has recognised the ‘right to know’ in Article 21 as a necessary ingredient of participatory democracy. Further, it is asserted that, on miscellaneous days, the law interns under an Advocate-on-Record or a Senior Advocate or an Advocate are permitted to enter inside the court premises, but due to imposed ban, they are prohibited from entering inside the court rooms, which patently infringes their right to movement under Article 19(1)(d). And such a restriction does not qualify as a “reasonable restriction” under clause (5) of Article 19(1). Finally, the application states that Under Article 19(1)(6), a restriction may reasonably be imposed in the interest of general public. It could be averred that internship in courts is just one step towards the career as a lawyer and not allowing interns to enter inside the court room on miscellaneous days could hamper their right under Article 19(1)(g) to effectively practice the legal profession. a) There may be online applications submitted by (n) number of law students, but only 100 may be allowed on a miscellaneous day. Further, they may be split into equal groups of 10 students each, one for each courtroom. This selection is based on the ‘first come, first serve’ method. Further 100 students may be allowed on subsequent miscellaneous days and so on. b) There may be a certificate issued by the concerned Advocate-on-record in favour of the intern certifying that intern has read the brief and is interested in witnessing the court proceedings and its outcome. c) Allow interns inside the courtroom after 11:30 AM.